Welcome to Hotel Relais Corte Cavalli Ponti sul Mincio. In a landscape of great natural suggestion, spaces have been created on a human scale, included in the harmony of the moraine hills, in the refinement of detail and with great use of natural materials. A refined setting that allows total immersion in nature. Awaken the senses and relaxes the mind. The high quality fittings, furniture and frescoes characterize individually each of the 20 rooms, from which you can enjoy the eye of the magnificent panoramic view of the moraine hills. Air conditioning, high-speed Internet connection, LCD satellite TV, mini bar and safe are the facilities that distinguish the category. Thanks to the magnificent park with swimming pool fully lit, with spacious rooms and the restaurant is able to offer a space suitable for any type of event. Nestled in a wine-producing district of great value in the green morainic hills and a step away from Lake Garda, the restaurant "La Dinastia" is born, where the culture of the earth, the study of tastes and love for the first fruits combine to delight the palate and soul. The elegance of the dining room and the atmosphere that breathes on the terrace, surrounded by nature in the crisp, paint the perfect gift for convivial moments to remember. The refinement of raw materials combined with traditional recipes can taste refined dishes of the tradition, accompanied by wines selected by national and international wine cellar. A careful and rigorous selection of ingredients for processing before seasonal dishes particularly well. Aware of the expectations of customers, our chefs will serve the best products to create menus to satisfy every need. We have hosted presentations in the past, automotive, fashion shows and gala dinners, private and exclusive. Corte Cavalli offers a unique location, where the guarantees freedom of the expression and image. Meetings, training, incentives, find the right union between nature, history and technology, areas where properly prepared, in an atmosphere of incomparable relaxation, privacy and style, helping to increase and enhance the image of the company. Our technical staff will put you at your computers, microphones, flip charts, wi-fi high speed, LCD projection images from a PC and a projection screen 240x240. Our Meeting Rooms are: Barchessa Hall, from 60 to 100 seats, Cavalli Hall, from 20 to 45 seats, Cavallina Hall, 8 seats. 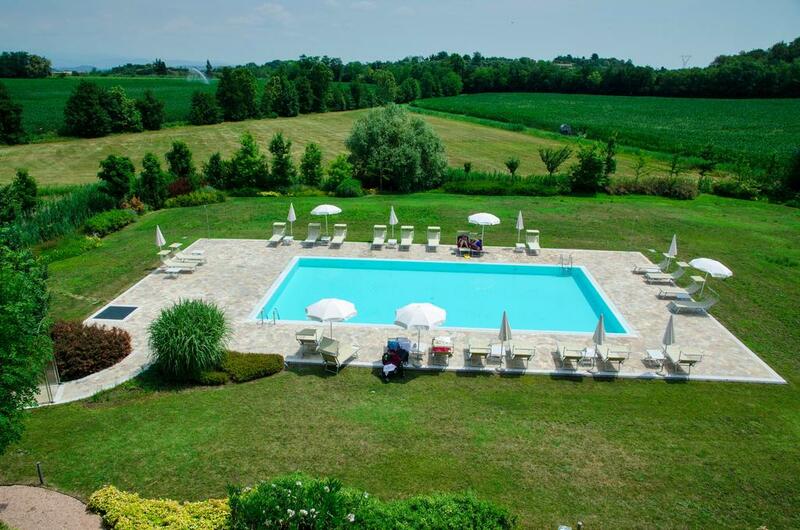 (Hotel Relais Corte Cavalli Ponti sul Mincio hotels).